One of the most common reasons given for why people dislike – and kill – large carnivores is because they attack livestock. This is particularly true in traditional pastoralist societies, because livestock (especially cattle) have important cultural value as well as their economic worth. Attacks upon livestock are not a small issue – they occur frequently around Ruaha, and particularly for a poor family, losing even a small number of livestock can be devastating both economically and socially. We have found that attacks on cattle almost always lead to efforts to kill the carnivores concerned, but often people resort to indiscriminate methods such as poisoning, which can kill many carnivores as well as high numbers of non-target species, such as critically endangered vultures. Furthermore, people are scared of just the risk of such an attack happening, so preventative carnivore killing is also common. Villagers are often either unaware or unable to implement other methods to better protect their livestock, so all too often method like snares, poison and spears are used to try to reduce attacks on stock. 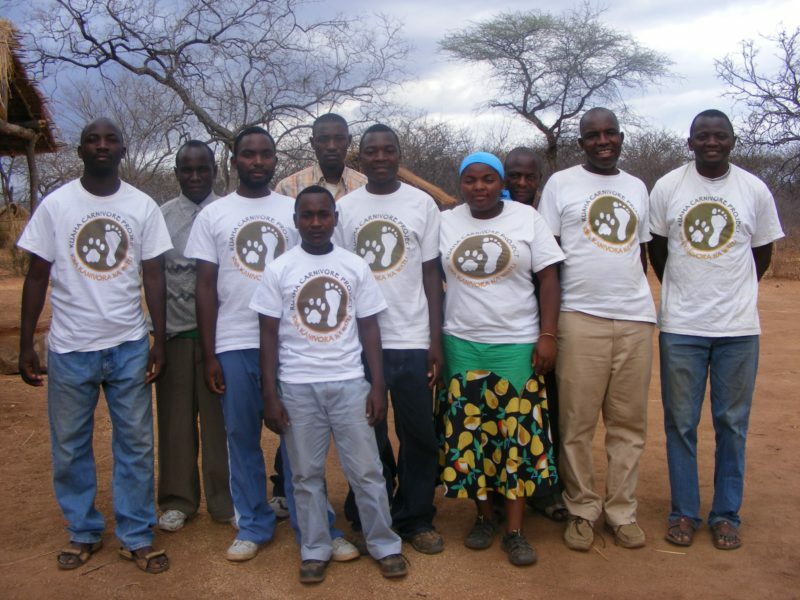 The Ruaha Carnivore Project works closely with local villagers to reduce carnivore attacks on livestock, and helping empower people to implement better, non-lethal livestock protection methods such as the use of fortified enclosures and livestock guarding dogs. In addition, our Lion Defenders respond immediately to any reported threat of a lion attack at a household, and will often sleep at households and chase lions away in order to protect both people and livestock. 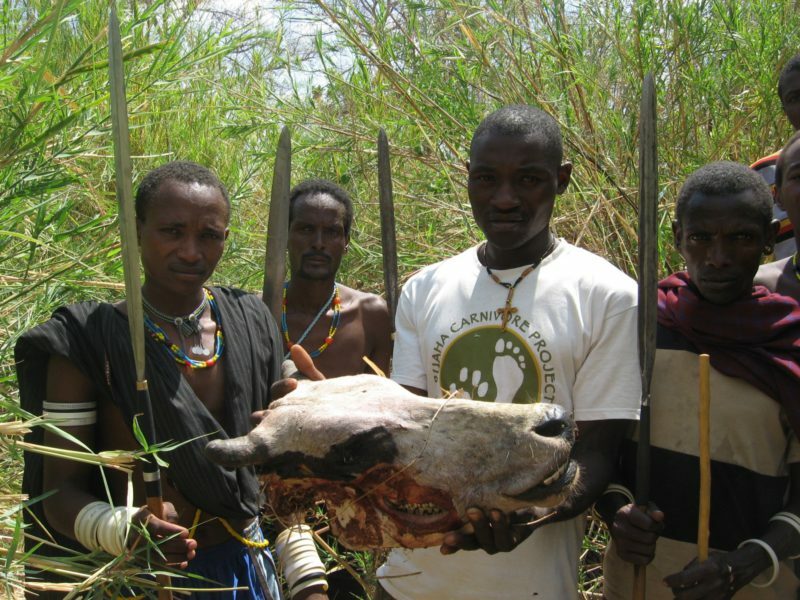 This work helps to reduce both preventative and retaliatory carnivore killings, and also helps to better protect peoples’ livestock and therefore secure their vital economic and social assets. We monitor the effects of our livestock protection measures by training and employing conflict officers in local villages. 11 such officers collect regular data on over 600 households across the study area, and respond to any carnivore attacks. They help the householder identify which carnivore caused the attack, and share with them the best methods of preventing any such attack happening again. At a wider scale, their information helps us better understand the patterns of carnivore attacks and therefore develop the most appropriate strategies for preventing them in the future. These measures have been very successful, with carnivore attacks on livestock reduced by over 60% in the core study area since their inception. However, it is not sufficient to reduce the risk of attack – for long-term conservation, local people need to recognise real, tangible and relevant benefits from the presence of wildlife. We are working closely with local communities to develop such initiatives, with the aim of ensuring that the benefits of wildlife presence outweigh any remaining costs.